Given my current pre-occupation with meditation this second post from April 2011 seemed worth republishing. The title Bible’s Buried Secrets drew me to watch the first programme in the series on BBC2 in the middle of last month. Initially, in spite of the youth and charm of Francesca Stavrakopoulou, I found myself waiting on a bland platform of only mild interest until I found myself boarding a train of thought that carried me through intriguing terrain to a fascinating destination. 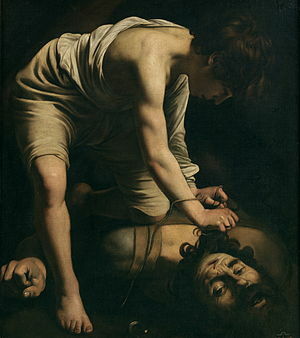 Her argument, in brief, was that the archaeological evidence for the existence of the biblical King David, Goliath notwithstanding, was so sparse as to call into question his reality. Bells in a distant steeple of my memory began pealing as though an invasion or a coronation was imminent. I recalled reading David Rohl‘s book A Test of Time many years earlier (1995 judging by the publication date). It was turned into a television series on Channel 4 which I never saw. He argued, in a way that seemed quite plausible, that this lack of corroboration for the Bible from the historical and archaeological record is a common problem and stems from the fact that the conventionally accepted Egyptian chronology is displaced in time. There are . . . no safe fixed points in the chronology of Egypt earlier than 664 BC. The New Chronology has determined that Ramesses II should be dated to the tenth century BC – some three hundred and fifty years later than the date which had been assigned to him in the orthodox chronology. As a consequence, the archaeology of Palestine associated with the late 18th and early 19th Dynasties – Late Bronze II – now represents the historical period known as the Early Israelite Monarchy, the era of David and Solomon. It would be hard to find a blogger in the world with less knowledge of archaeology than me (I haven’t even seen all the episodes of Time Team), so I’m not going to claim I have the faintest idea who is really right here. What intrigues me is the divergence of view on a complex issue where the evidence appears not to be conclusive. We’ve been here before, of course, on this blog with the issue of climate change and Peter Taylor’s detailed doubts about the theory of man-made global warming. I love these examples of maverick experts challenging the prevailing orthodoxy. It has the same appeal as the tale of David and Goliath, in fact. Both Taylor and Rohl quote meticulously from a wide range of complex data, so wide in fact that they make the supporters of the mainstream consensus look as though the orthodox are the ones who are cherry picking data to use in evidence to support their case. In these debates reality comes to seem as ambiguous as a Gestalt picture – you know the ones I mean. Is it Francesca Stavrakopoulou or Mother Teresa? It’s probably not a permanent state of affairs like the wave- particle situation with light, but it led me to wondering whether some other complex and ambiguous issues are eternally irresolvable. Gazing through this window of my train of thought I had no desire to alight yet. One perennial problem has become more acute since the rise of scientific empiricism. Religious people have sought to claim that myth is literally true, as though that will shift the debate in their favour, and the scientifically minded have been moved to dismiss anything that smacks of myth as utter fantasy. We either find the account in Genesis of the creation of the world implausibly defended as a realistic rendering of exactly what happened, or mystic experience, grounded in decades of disciplined practice, dismissed as irrational drivel. Because I accept John Hick‘s position that the universe is such that there is just enough evidence to convince the predisposed that the spiritual realm is real while there is simply not enough to persuade the sceptical, it seems to me that the polarised debate described above is utterly fruitless. Reitan’s position is far more constructive: it is just as reasonable to believe in God as it is to doubt His existence. If we could enact these mutually respectful positions, what would the world of ideas look like? Not the bombed out war zone it resembles at the moment, that’s for sure. Can we find a picture of the likely scenario anywhere? Is a ‘marriage of sense and soul‘ of this kind really possible? I believe the green shoots of a different kind of landscape are pushing through the rubble of the battlefield and what was originally only the faint possibility of this marriage is already in the process of becoming a reality. For Baha’is, believing as we do that religion and science are both wings to the bird of true human understanding and progress, this is a crucial and exciting question, a long way further down the tracks of this particular train of thought than whether David did or did not really exist, but distantly related nonetheless. Why do I think that this kind of mutual respect is possible, apart from a blind faith in my own particular spiritual tradition? . . . . natural selection’s invention of love . . . . was a prerequisite for the moral imagination whose expansion, here and now, could help keep the world on track . . . . . . 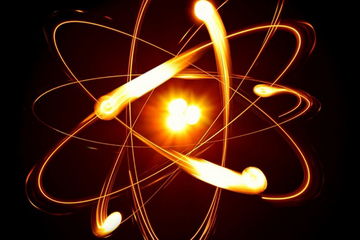 Though we can no more conceive of God than we can conceive of an electron, believers can ascribe properties to God, somewhat as physicists ascribe properties to electrons. As to the attributes and perfections such as will, knowledge, power and other ancient attributes that we ascribe to that Divine Reality, these are the signs that reflect the existence of beings in the visible plane and not the absolute perfections of the Divine Essence that cannot be comprehended. One of the more plausible properties [of God] is love. And maybe, in this light, the argument for God is strengthened by love’s organic association with truth – by the fact, indeed, that at times these two properties almost blend into one. You might say that love and truth are the two primary manifestations of divinity in which we can partake, and that by partaking in them we become truer manifestations of the divine. Then again, you might not say that. The point is just that you wouldn’t have to be crazy to say it. For those who want to get a feel for quantum spirituality, and for just how closely related scientific language and ineffable spirituality can become, have a look at the video below. If you can cope with the video you’ll almost certainly enjoy having a look at a challenging article on biocentrism (see link). Mystics are not mad it seems nor science untouched by hints of the divine.